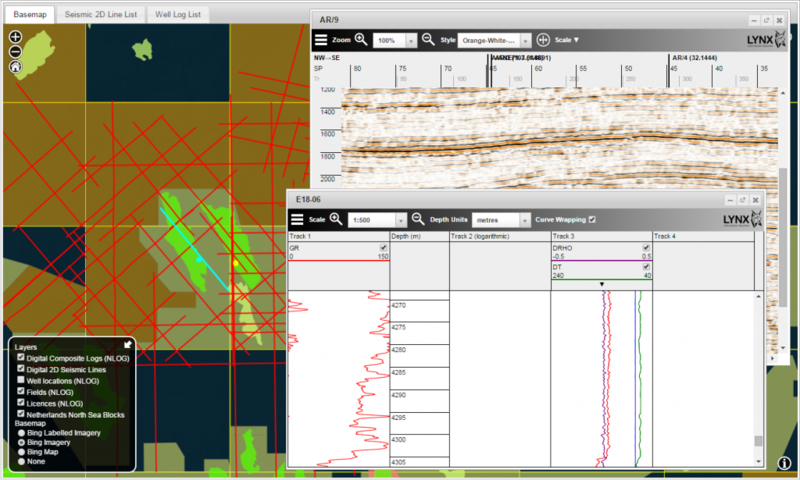 Announcing the release of Lynx iLogview, a web-enabled viewer for wireline log data. Digital composite wireline logs can now be viewed in your web browser using the new Lynx iLogview viewer. 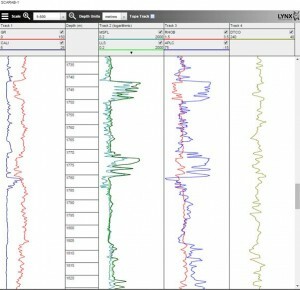 Wireline logs can be viewed in a familiar interactive multi-track log display. iLogview works in all modern desktop browsers and on your iPad, and requires no browser plugins. Wireline logs can be integrated into your existing web mapping or DMS applications using direct links like this example, which shows wireline curves with formation tops. iLogview has a wide range of use-cases, including virtual data rooms, national data repositories and corporate data management systems. iLogview serves wireline log data from LAS files stored on your web server, and reads well log metadata and (optional) well locations from Oracle Spatial tables or CSV and KML files. Browsers supported in version 1.0 include Google Chrome (37+) and Mozilla Firefox (32+) on Windows and MacOS, Chrome and Safari on iOS 7 (iPad), and Microsoft Internet Explorer 9, 10, 11 and Microsoft Edge on Windows. iLogview Hosting – for short-term websites (eg farm-outs and other virtual data rooms), Lynx will host your log data and provide a secure website for display of your log data and seismic data using iLogview and iSeisview. We will work with you to provide the level of customisation you require for your website – from a corporate logo and additional map layers with linked information to user authentication and activity logging. Contact us to learn more about WebLogview, or to ask for an evaluation. This entry was posted in Announcements, ilogview, Software and tagged weblogview, webseisview. Bookmark the permalink.